The biggest theme this autumn continues to be crowded trades blowing up. 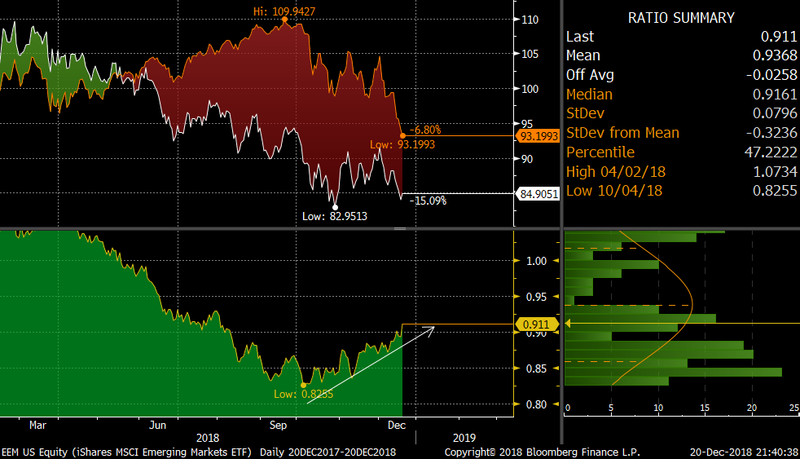 Latest exit becoming somewhat narrow for the crowd, is the popular USD long trade. The DXY index has been attempting to break out on several occasions, but momentum has been diminishing. We saw a break down instead as the trend line since March was broken yesterday. 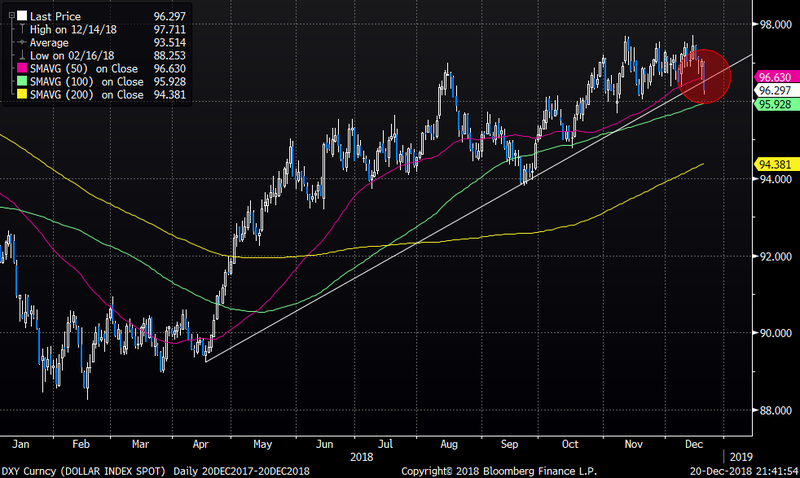 We are currently seeing the DXY trade below the 50-day average. Next level to watch is the 96 area, a big level itself as well as the 100-day average. Over past sessions gold has taken out the big 1250 level, and is trading above the 200-day average for the first time since May. 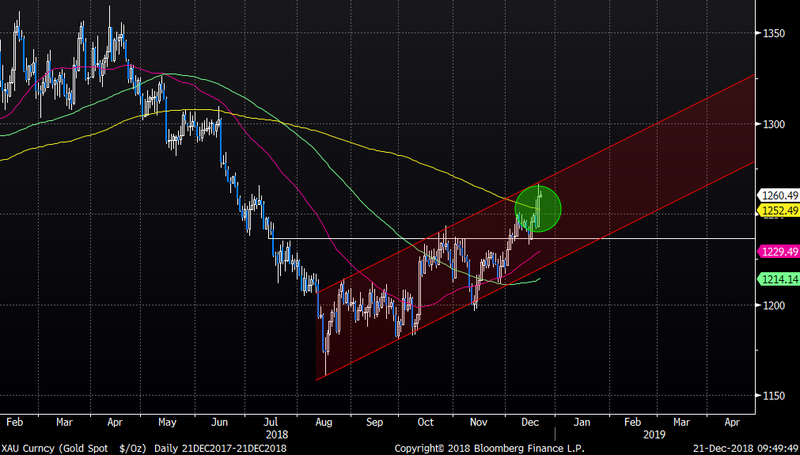 Chasing gold longs here could be a bit late for the short term, but price action is healthy these days and gold should remain an interesting strategic relative long play for various reasons such as the USD momentum as well as a relatively cheap hedge for the global turmoil. Below chart shows the 5-year relationship between the ETFs of SPX (SPY US) versus gold (GLD US). It is interesting to see how the entire spread has simply exploded as equities have crashed and gold has caught bid. Several years of one-way traffic (SPX up, Gold down) has been reversed quickly. Do You Really Want To Be Out?